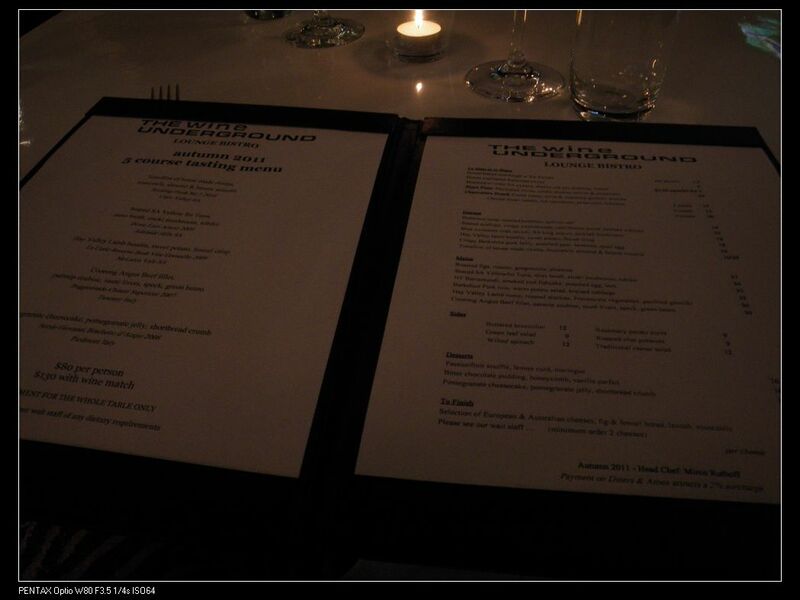 Yes, on Friday night, we went to one of the so acclaimed restaurant – Wine Lounge Bistro at The Wine Underground. I suppose all of our adelaideans will remember that explosion in 2005 on the site of the Wine Underground and since then the restaurant has been fully rebuild with much of it changed. 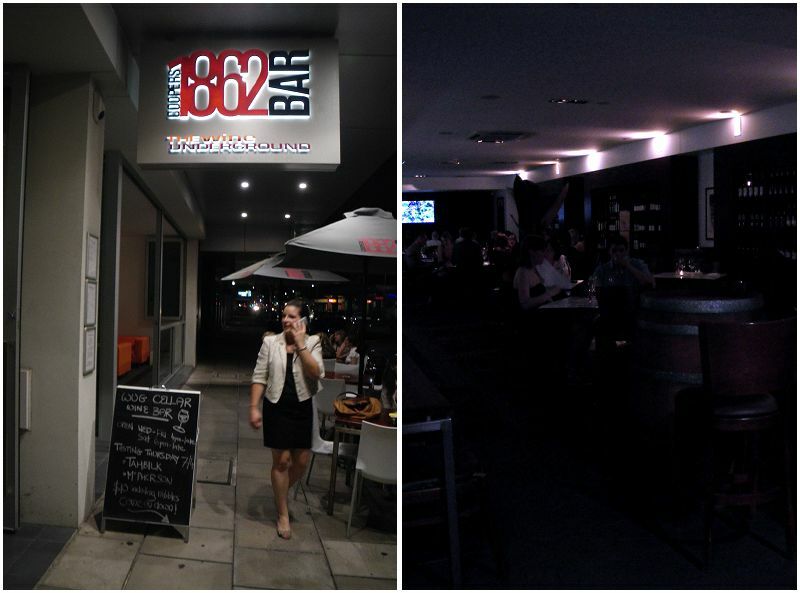 It hence created a new spacious lounge on the ground level and a bar in the underground. Since the departure of chef Adam Liston, the place has recaptured itself as a wine industry clubhouse with wine tastings every month and an extensive list of wines on sale at retail and at the restaurant. The decor of the bistro is cosy and welcoming with a whole wall of wines and this further enhances that it is a clubhouse for the food and wine industry. I like it in this way. We arrived at 6pm, got seated, welcomed by our waitress and 10mins later, we were ready to order. I should indeed admit that the restaurant has got a rather tantalising modern Australian menu with European influences. 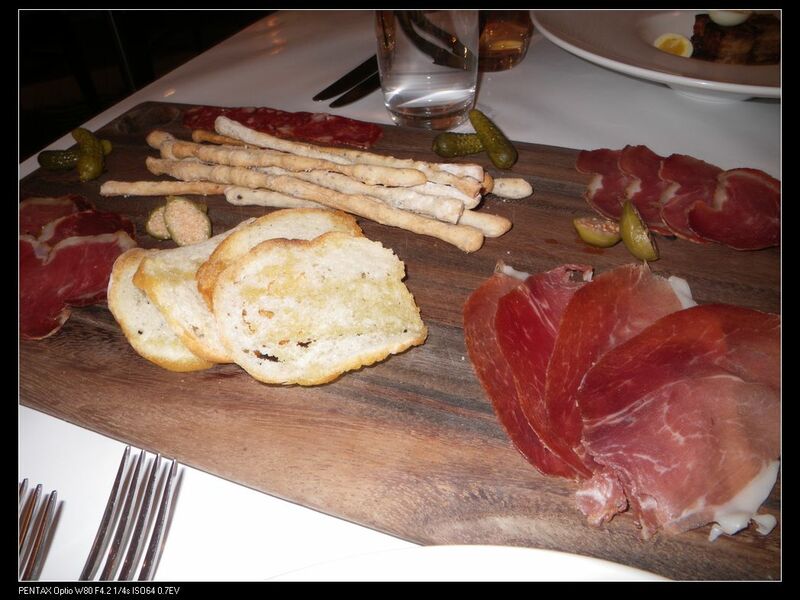 Seafood, cured meats, antipastos and other meats were included in the menu. However, because my miss doesn’t eat lamb nor dairy products such as cheese, we wanted to order some other dishes for her. “What’s your specialty?” I asked. “Sorry we don’t have specials here!” The waitress answered impatiently. “I am not asking for specials (as such in price), am asking for your SIGNATURE dishes!” I smiled and asked gently again. My main point here is to say that the waitress is lack of some degree of knowledge of gastronomic terms. Specialties of a restaurant means their signature dishes not specials as in a pub or cafe. The bistro may need to train their service persons a little bit to get them ready for some silly questions as I asked. Anyway, that’s just somethin I found a bit funny here and we soon ordered our dishes. As I was on medication that no wine can be taken, we just ordered lemon lime bitters. Such a huge serve! But the problem was that it was too diluted and taste very plain. We may need to order some wines on our further visits. Charcuterie Board, $20. I wanted to have all 4 meats on the menu. They are lombo, hot cacciatore, prosciutto and bresaola. The meats were not fully matured and had rather thick cuts. This gave a smelly meat taste and smelt like something decomposed. However, the other little bites were perfect. My suggestion would be that the meats were to be shaved as thin as possible. This 1) eliminates that decomposed meat smell and taste 2) creates a melting feeling on the palate once the meat is in. Seared scallop, crispy sweetbreads, cauliflower puree, braised walnuts $19. This dish is wonderfully presented with a fresh sea flavour. The three scallops were fresh so that when they were seared, all the jus has been locked inside the flesh and in the center. Thus, every bite that we had were fully of the sea water, sweet and salty and once the scallop was in our mouth, it explode easily, releasing all the jus. You all know what I mean, don’t you? I still even can’t forget the taste now. The cauliflower puree taste very smooth and would go straight through to your stomach if you don’t pay attention to it. The only black spot for this dish is the braised walnuts. I think they were bit degraded and we didn’t touch it after the first trial. 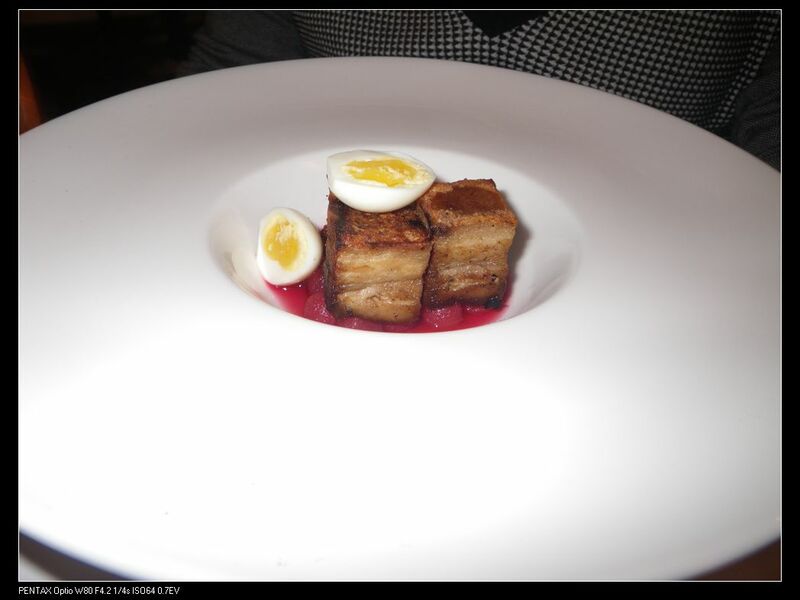 Crispy Berkshire pork, poached pear, beetroot, quail egg $16. It taste good. Oh well, be fair, it’s okay. The pork was very crispy and every layer was full of flavours. With the addition of poached bear, the meat flavour was fully extracted and enhanced. I still didn’t get the reason for adding a poached quail egg although the egg itself was delicious. It’s like something stand no where in space and the chef just forced it in the dish. However, I have another big concern here. The Berkshire pork doesn’t taste like what I bought from feast fine foods. No where near. This pork was not smooth and was very lean. I just wonder if they really used Berkshire pork or it’s just because of the way they cook it. Seared SA yellowfin tuna, miso broth, enoki mushroom, rubiko, $34. There was a small jar of miso broth which I didn’t include in this photo. Our waitress asked if we want to pour the broth over all at once. We decided to do it ourselves and obviously, we were correct. The miso broth was very flavourful and bit salty. If you pour the broth over all at once, the dish would be very salty. 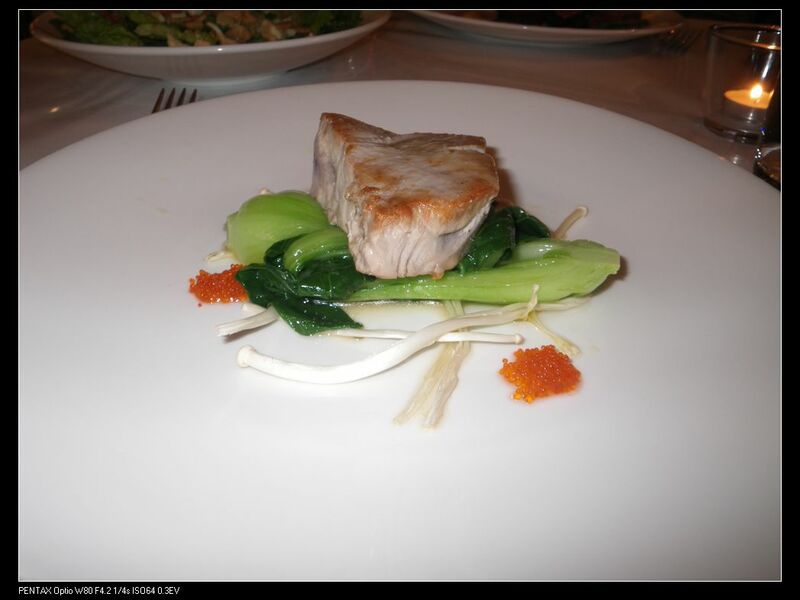 However, if it was added gradually with the consumption of the fish, it creates an unforgettable experience. The tuna was pan seared and the inside was rare, but it is very plain in taste. The addition of the broth gave it a little extra flavour. The fish itself, in terms of quality, was fabulous. You cut a small piece of fish, dip in some broth, add a small portion of fish roe and mushroom and quickly put the whole thing in your mouth. You will feel it! The fish melt very quickly in the mouth and you will be eager to have the second piece and so on. Personally, I highly recommend this dish and you should try it to experience the dramatic flavour and the feeling of melting in your mouth. I’ve cooked salmon in this way at home before but never reached this flavour. Yum yum!! 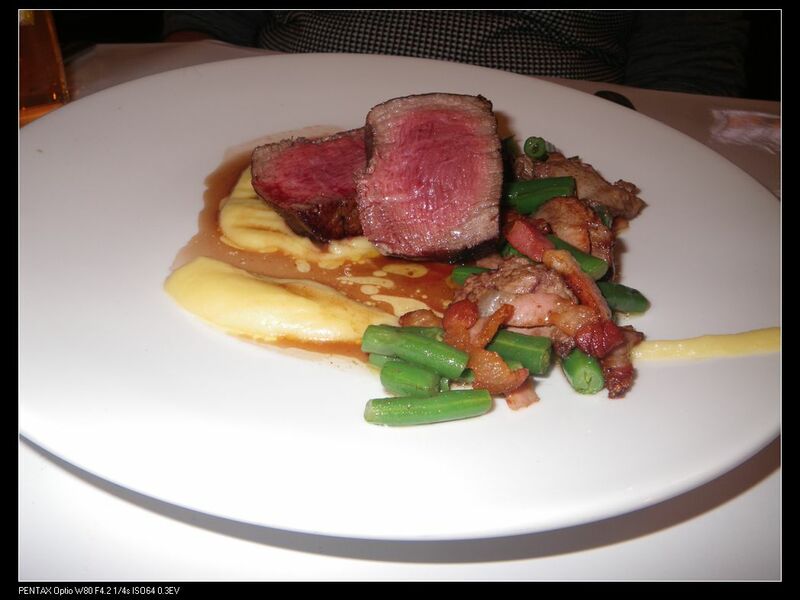 Coorong Angus beef fillet, parsnip soubise, saute livers, speck, green beans, $39. This beef fillet was almost perfect. Something to note here, I told the waitress directly that I want the fillet to be medium. They will never ask for your preference of a steak! That’s why many people on urbanspoon don’t get how they wanted the steak to be done. Anyway, the fillet was grilled to perfection. The meat was tender and chewy and the yellow sauce gave it a light creamy taste. I don’t know if anyone has tasted ox tongue before, but the feeling of this fillet was exactly as the taste of a ox tongue. The speck tasted good so as the green beans. Oh, forgot to mention a bonus point here. The saute livers were very well prepared with the jus being stuck in the liver and gave a rather sweet taste. 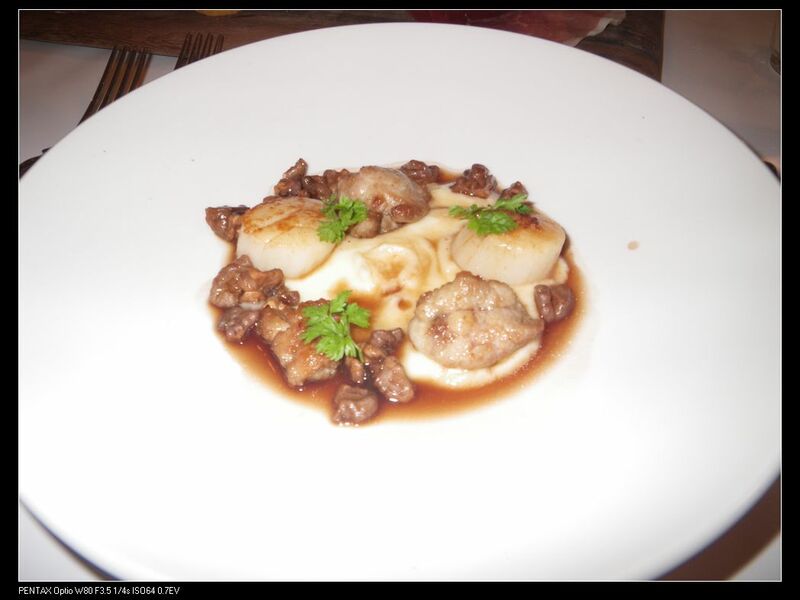 I really wanted to know how the chef did this cos I never sauteed livers before. Traditional Caesar Salad, $12. From the amount of food in the mains, we were worried if they would be enough. 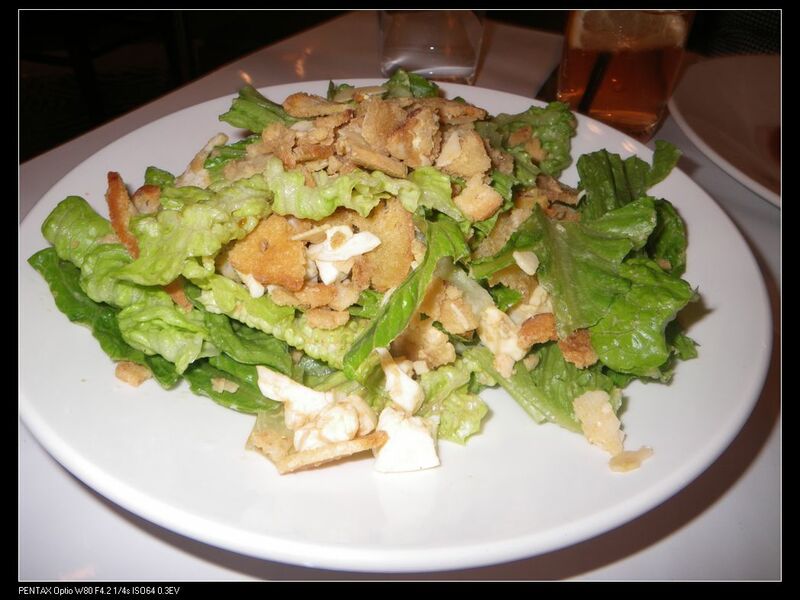 We then ordered a side, the caesar salad. By now, I should admit that it was not a good choice. It had smelly cheese smell at the first place and doesn’t have any bacon. Anyway, I don’t recommend to order this side. 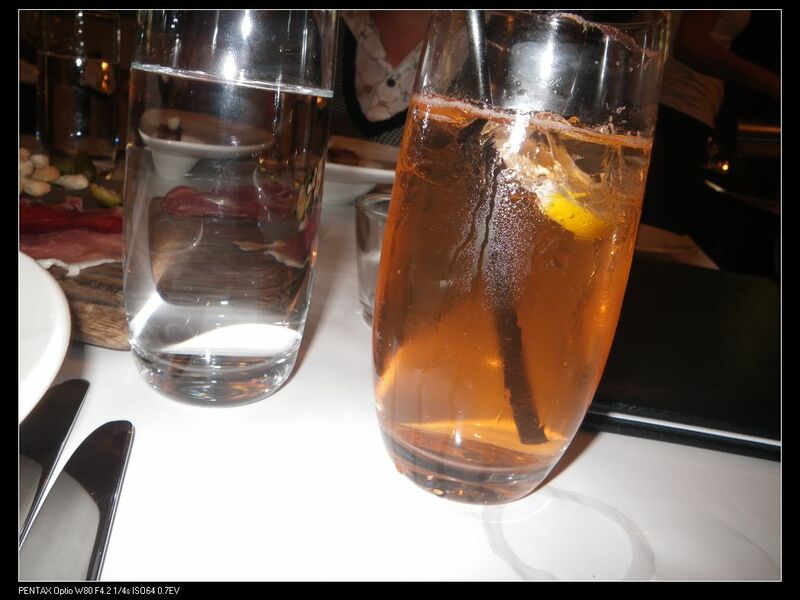 Above all, we really enjoyed the food and the environment of this modern bistro and I am sure we will keep going back. The seared tuna is highly recommended. I love their food too. 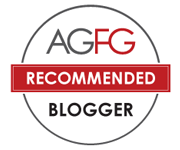 Like your review:)! I’ve always loved the food at The Wine Underground (in particular their $20 Wagyu steak sandwiches from a few years back), but I was particularly disappointed, or perhaps misled even, by their recent offer floating around on Scoopon. The voucher boldly states; ‘FREE-FLOWING French Champagne!’ (I’m looking at one right now), but upon arrival diners are presented with free flowing Louis Perdrier Brut, a $10 a bottle French sparkling white from Burgundy, not Champagne. I knew unlimited French champagne was too good to be true, but I did expect better from a venue which prides itself so much on wine service. I agree with you. I think some restaurants just don’t get the idea that being on groupon websites, they have to give good food and services as normal. Many of them just think customers can be cheated and this is very wrong.